Keeping his promise to We the People, President Trump is shrinking our worrisome national debt in a hurry. 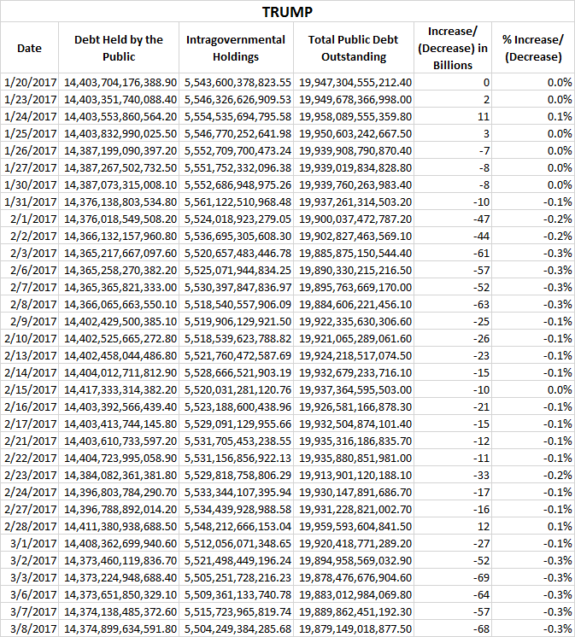 Since President Trump’s inauguration, America’s debt has dropped by $68 billion. On January 20, the national debt was $19.947 billion. 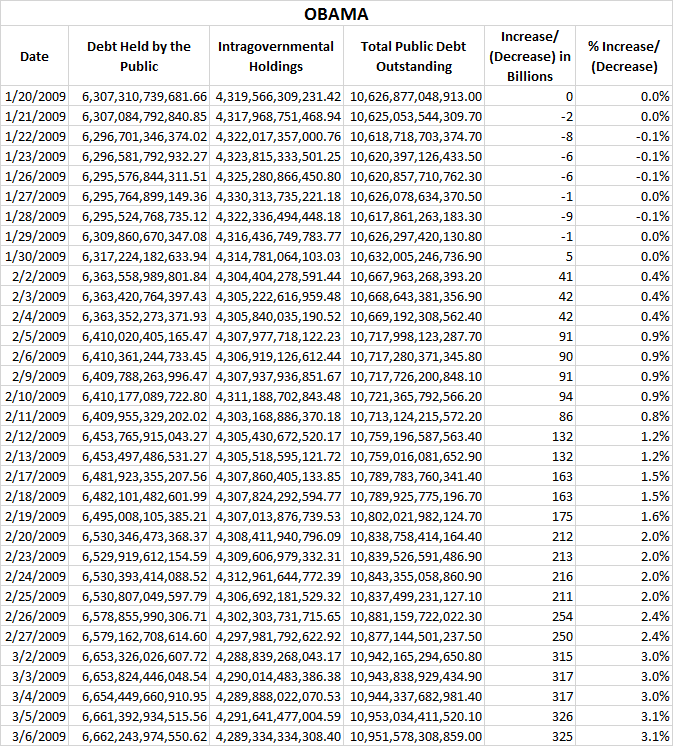 Roughly a month and a half later (March 8), the national debt had dropped to $19.879 billion. 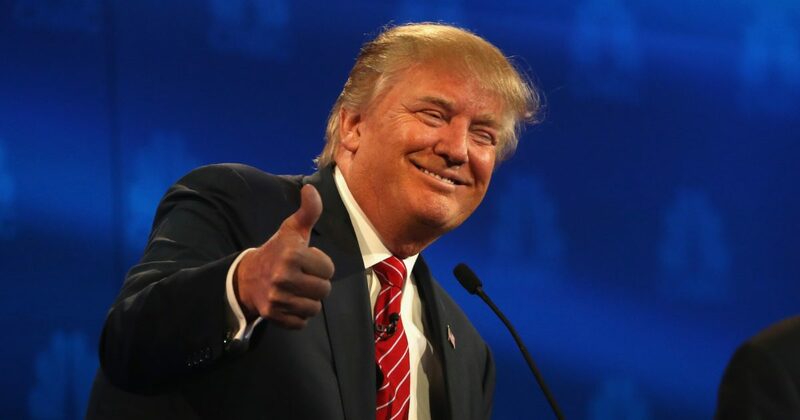 In contrast, Barack Hussein increased the national debt by over $320 billion during the first month and a half of his administration, a difference of $388 billion, nearly half a trillion hard-earned American dollars. THAT is how to run a country!